A minimal project where the app shall just sends call history from the phone where it is started via http-post to web server and then present resulting page in browser. The browser can be built in to the app or be the standard web-browsing app on the device. Full source code is needed. The app shall be for android. Shall work from android 6 and up. Great! 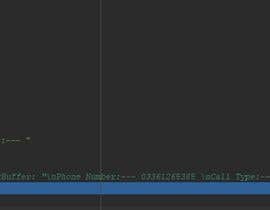 Does it include current call(if there is a current call)? Do I now just approve your submission and you will send the app with source code? I'm sorry I do not know the concept of on textlog, but what you show in the picture looks good. 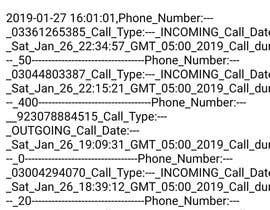 Just sen the content of stringbuffer for the last 5 calls (including the current call if there is a current call) as a post to the web address below and then present the resulting page in a web-browser on the phone. Best is if it is the default app for web browsing. Is it ok if I display on textlog?